Want to start people talking about well-being? Playing the DIY Happiness game is a great way to get people of all ages talking about well-being. 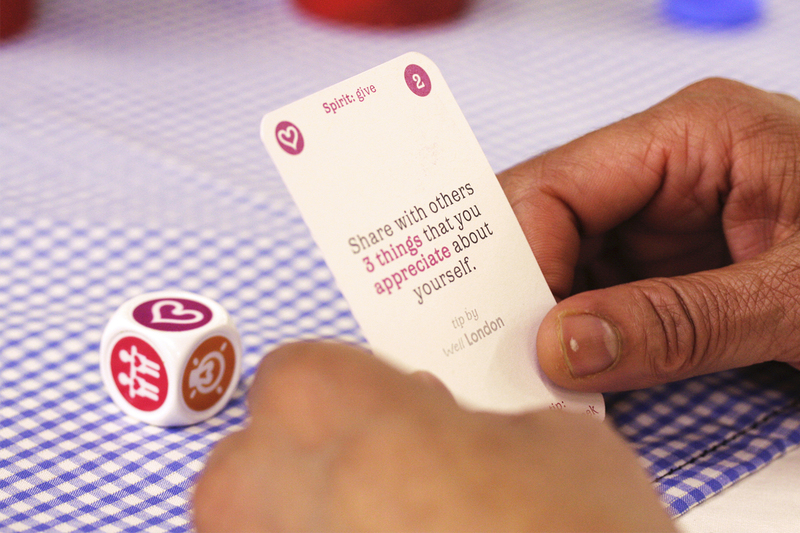 The game is based on the Wheel of Well-being and uses a series of ‘tips’ cards that players share and trade to collect a full set. It was originally developed by uscreates and co-designed by Well London participants. Since it was piloted in 13 London locations, it’s been played by thousands of people in schools, offices, hospitals, community cafes, parks, parties and businesses from Tower Hamlets to Hong Kong! A young people’s version, for students making the leap from primary to secondary school, will be available in the summer of 2014. If you’d like to purchase a copy of the game or like to know more, Get In Touch. You also can download an overview of the game and DIY Happiness Game pilots report.